The Huawei Mate 10 series that is set to arrive on October 16. 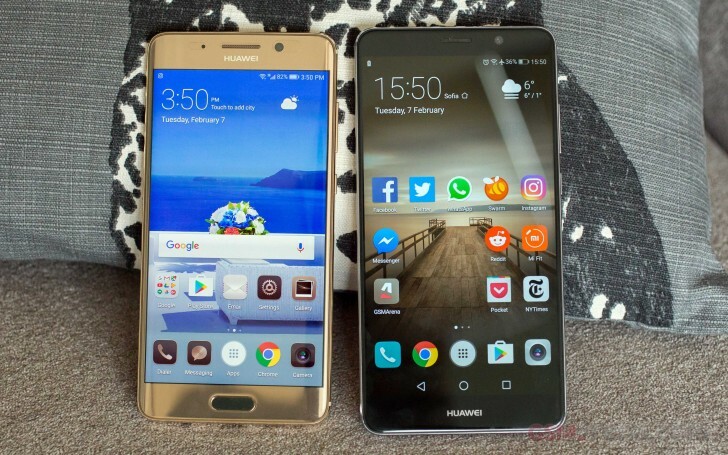 We received a tip from a Huawei distributor, saying the new Mate might appear in three variants, instead of the two rumored so far - standard Huawei Mate 10, bezel-free Huawei Mate 10 Pro and budget-friendly Huawei Mate 10 Lite. According to our tipster, the Huawei Mate 10 will have an IPS LCD screen with 5.9” diagonal and Full HD resolution. Unsurprisingly, the new chipset is expected to be Full HD, and the dual camera on the back will be Leica-branded with sport a bright f/1.6 aperture. Interestingly enough, the fingerprint scanner will at the front embedded in the home key. We know that Huawei is launching a bezel-less phone with EntireView screen. The tip suggests this will be the Huawei Mate 10 Pro, but the display panel will be AMOLED with QHD resolution. The camera will be the identical to the regular version. Since the front side will be mostly taken by the screen, the fingerprint scanner goes on the back. The chipset will also be the latest Kirin 970. The third option is named Mate 10 Lite and will come with the same 5.9" FullHD screen as the regular version, but without the Leica goodness at the back. A hat tip to our tipster!